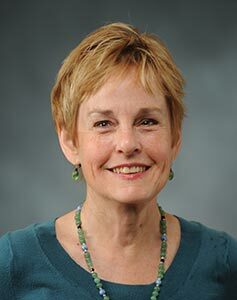 Ann Fisher-Wirth, Professor in the English Department at University of Mississippi, is the daughter of a career Army officer and an English teacher. Her most recent book, Mississippi, is a beautiful collection of poetry and photography with the acclaimed photographer Maude Schuyler Clay. Her other books of poems are Dream Cabinet, published by Wings Press in 2012, Carta Marina, Blue Window, and Five Terraces, and her chapbooks are First, earth, Slide Shows, Walking Wu-Wei’s Scroll, and The Trinket Poems. With Laura-Gray Street, she coedited the groundbreaking Ecopoetry Anthology, published by Trinity University Press in 2013. Her poems have received numerous awards, including a Malahat Review Long Poem Prize, the Rita Dove Poetry Award, the Mississippi Institute of Arts and Letters Poetry Award, two Mississippi Arts Commission fellowships, and thirteen Pushcart nominations including a Special Mention. They have been published in journals such as Prairie Schooner, Blackbird, The Valparaiso Review,Terrain.org, CutThroat, The Mississippi Review, and Copper Nickel. In 2012, Ann was a finalist to become Poet Laureate of Mississippi. She is currently working on a poetry manuscript tentatively called These Things. Ann teaches American literature, environmental studies, and MFA poetry workshops and seminars at the University of Mississippi, and directs the university’s minor in Environmental Studies. She received the College of Liberal Arts Teaching Award in 2006 and the Elsie W. Hood university-wide Teaching Award in 2014. She has held a senior Fulbright at the University of Fribourg, Switzerland; and the Fulbright Distinguished Chair in American Studies at Uppsala University, Sweden; and has served as President of the 1000-member Association for the Study of Literature and Environment. Also, she teaches yoga at Southern Star Yoga Studio in Oxford, MS.